Wales in November sounded iffy at best. But from all accounts, we lucked out with 6 days in a row of no rain/some sun/and comfortable temps in the 50's. We flew via Dublin then Manchester, and after a few train issues we were on the train to Wales stopping in Llandudno Junction. It was a one mile walk from the train station to the hotel, but what a walk! Crossing the bridge of the Conwy River and seeing the castle in front of you, and the hills and mountains appearing behind was spectacular. Conwy Castle was built by Edward I between 1283 and 1289 and still impresses today. Llandudno is a Victorian resort town nearby to Conwy, We visited on Halloween and were amazed by how abuzz it was in activity. I walked the old fashioned pier with arcades, stalls and sweets (and I managed to play some skee ball). Then we took the slow drive around the Great Orme ( a limestone headland that means sea serpent). We explored all different kinds of routes in the north half of Snowdonia National Park - the A5, A4086, A4085, A498. 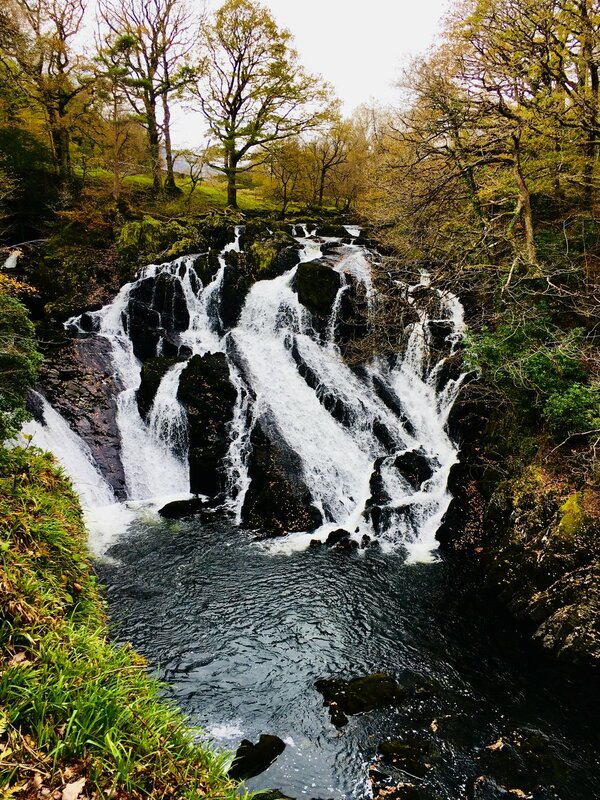 Snowdonia National Park is beautiful, in short area it encompasses forests, mountains, lakes, rivers, and waterfalls. 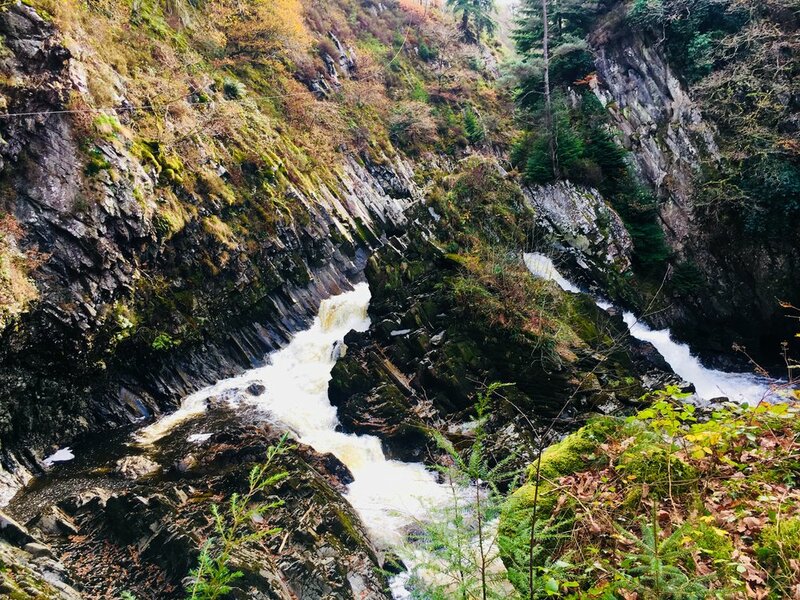 We visited Conwy Falls and Swallow Falls and the towns of Betws-y-Coed, Pen-y-Pass, and Llanberis. The most bizarre tourist attraction visited was Portmeirion, an Italian village built on the Welsh coast by an eccentric rich guy. It is supposedly modeled after Portofino (which I visited last year in the Italian Riviera). We finished the trip to Wales by taking a train to Holyhead, taking the ferry crossing to Dublin and spending a night in Ireland (check out my images from my last trip to Ireland). This view of an art installation on Grand Canal Square was pretty cool.